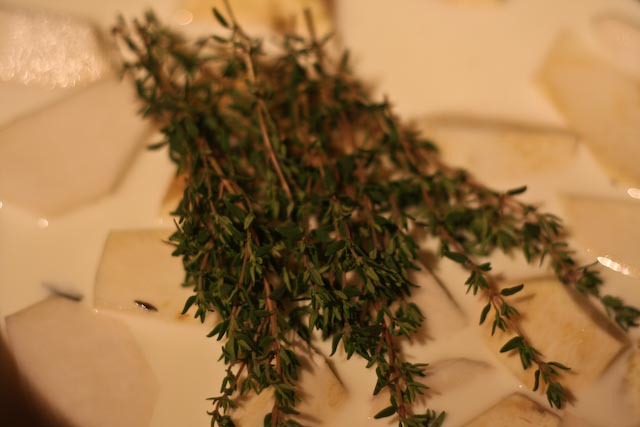 Thanksgiving Sides: Part 5 – Turnip and celery root puree! 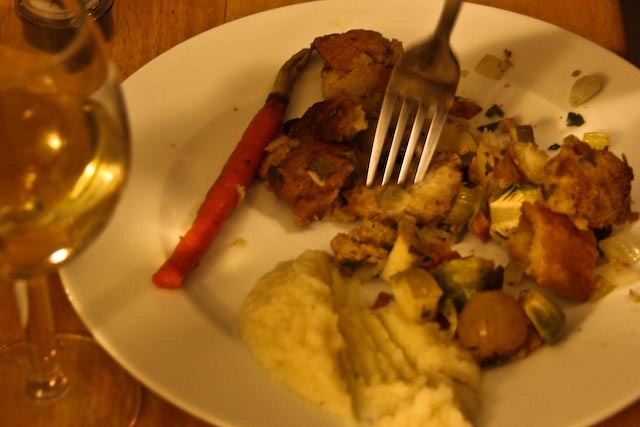 Rounding out my Thanksgiving series is a healthy alternative to a Thanksgiving favorite: mashed potatoes. I know, everyone loves mashed potatoes (including me! ), but I just wanted to put out there a unique twist on a cult classic. You could make this – AND mashed potatoes! Or even better, mix one of these yummy roots into your mashed potatoes! 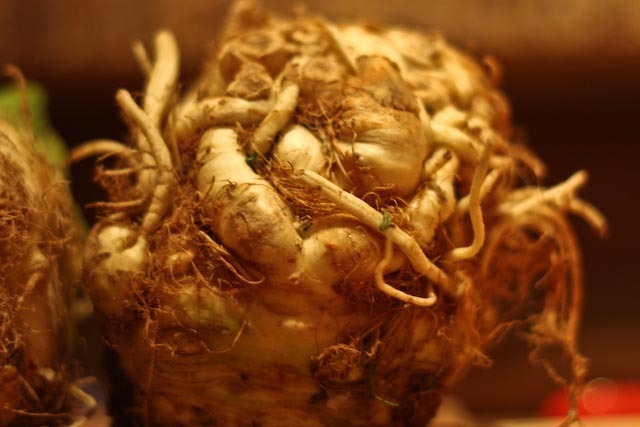 I think celery root looks like it could be a prop in a Harry Potter movie. While it may look funny on the outside, celery root tastes like a rustic combination of celery and parsley. 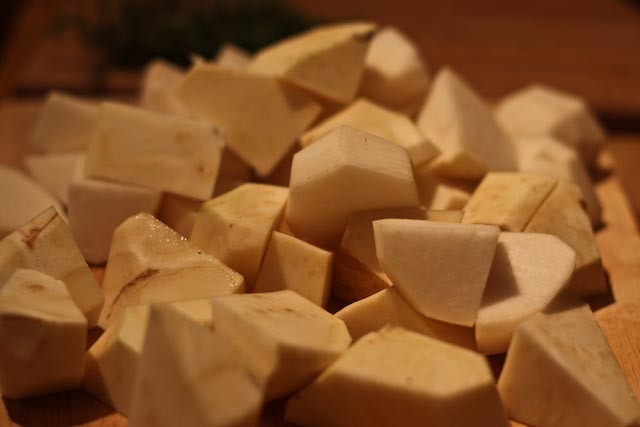 Celery root also packs vitamin C, potassium, and phosphorous. Super delicious! 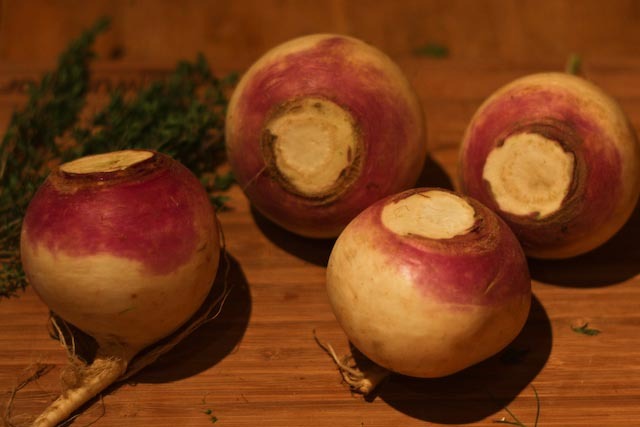 Turnips are another sometimes overlooked vegetable. They are super high in vitamin C and also pack calcium, anti-oxidants, iron, and lots of fiber. They’ve got a very unique flavor that meshes quite well with celery root. 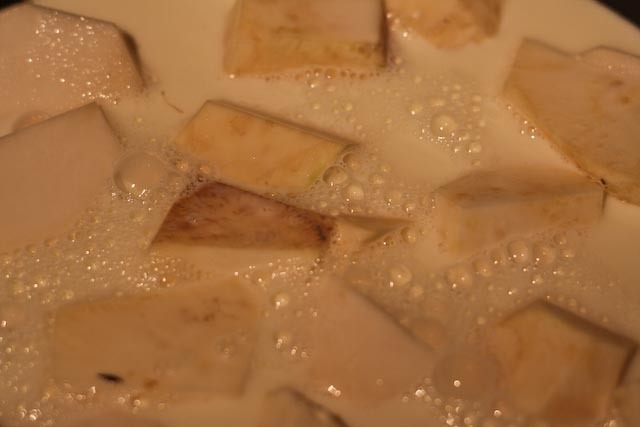 Cooking the turnips and celery root in milk (rather than water) adds a rich creaminess to the puree. 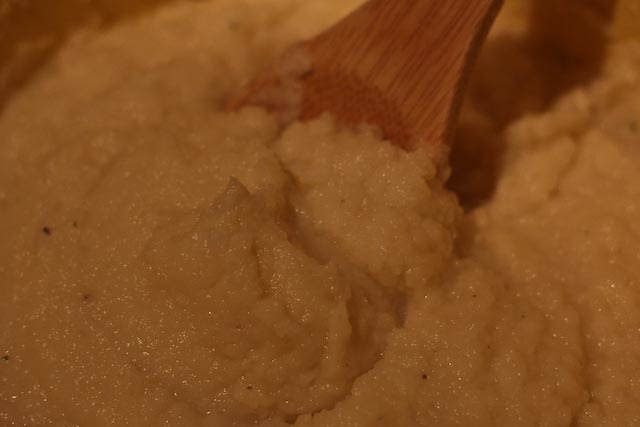 The final puree isn’t quite as thick as mashed potatoes, but it has a really unique flavor. It marries well with stuffing, carrots, Brussels sprouts, and a glass of dry white wine! 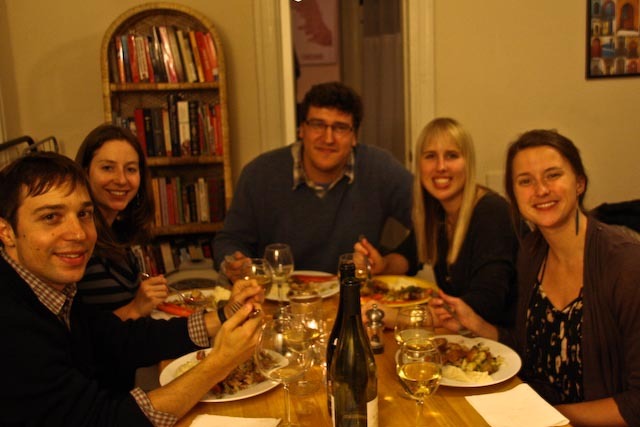 My lovely friends came over to help us eat all of the pre-Thanksgiving leftovers! 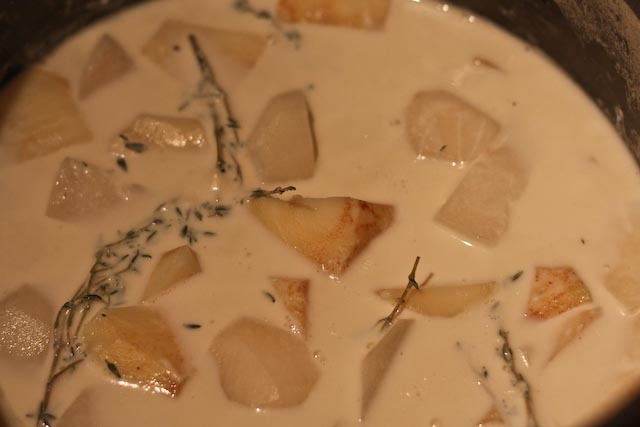 Place turnip and celery root chunks in a large pot and cover with about 1 quart of milk. Season with salt and pepper and add thyme sprigs. Cover the pot, leaving a small crack for heat to escape, and bring the milk to a boil. Boil vegetables for about 15-20 minutes or until they can be easily pricked with a fork. Remove from heat and let cool for a few minutes. In batches, transfer celery root and turnip pieces with tongs to a food processor. Avoid the thyme sprigs (although leaves are OK!). Blend well, adding a little cooking liquid if the mixture is too thick. 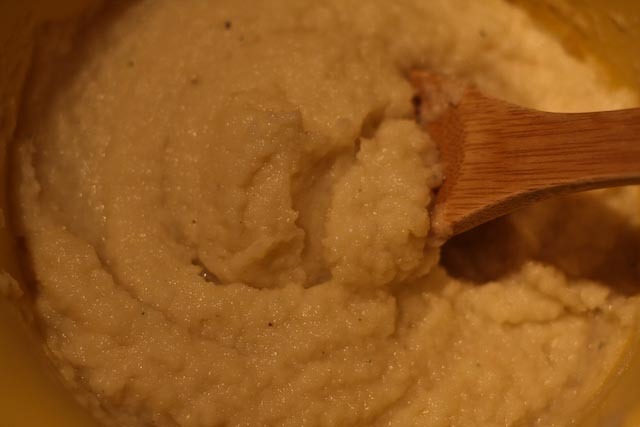 Transfer the warm puree to a medium size bowl, and add 1 tbsp butter, stirring it in so the butter melts into the puree. Season with additional salt and pepper, if desired. Serve warm. I’m happy that I found your blog today. I’m having a pre thanksgiving meal today as we eat with friends on the big day. This sounds like a good dish to take to their home. Thanks for posting your recipe. I’m glad you discovered it as well! Enjoy!